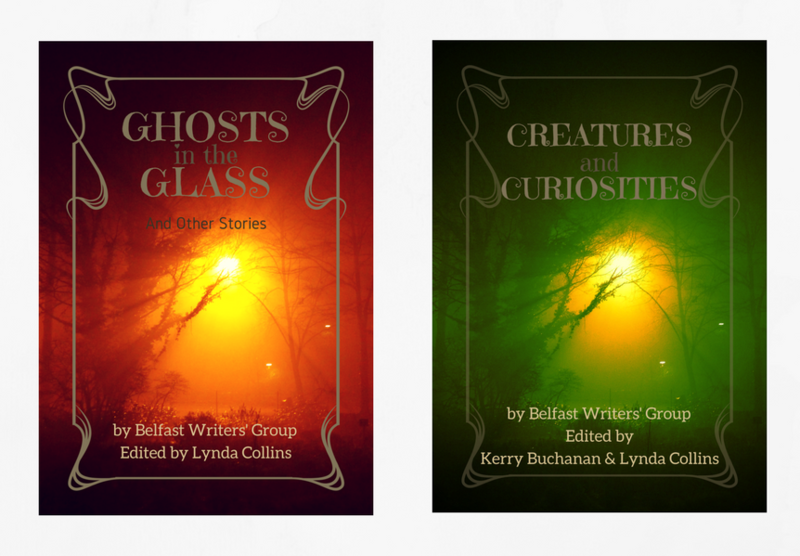 In 2012, Belfast Writers’ Group launched their first anthology: Ghosts in the Glass & Other Stories. In 2017, at Halloween, we relaunched it in a new edition as well as publishing our second anthology: Creatures and Curiosities. Currently, we have a submission call out for work towards our third anthology: Worlds Within Worlds.